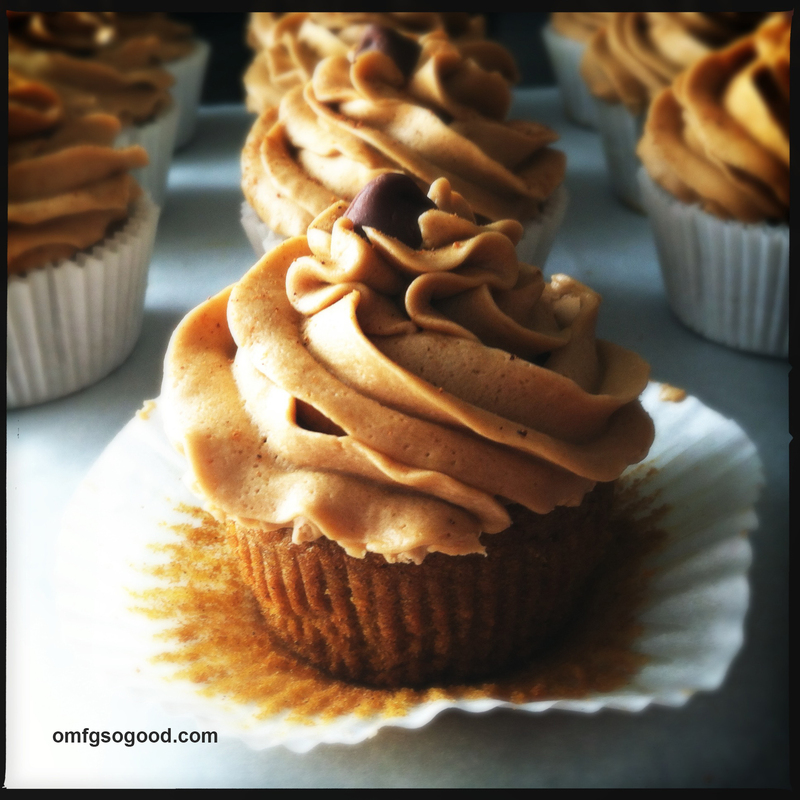 pumpkin spice latte cupcakes | omfg. so good. It’s beginning to look a lot like pumpkin. Everywhere I go. Does anyone NOT look forward to Fall and the chance to consume anything and everything pumpkin flavored? Everywhere I turn there’s something with pumpkin spice, pumpkin puree or roasted pepitos giving me the stare down. Not gonna lie. I, like a good majority of the population, look forward to Pumpkin Spice Latte season. There’s just something comforting about the warmth of the flavors. And here I am, jumping on the band-wagon of pumpkin spice recipes. 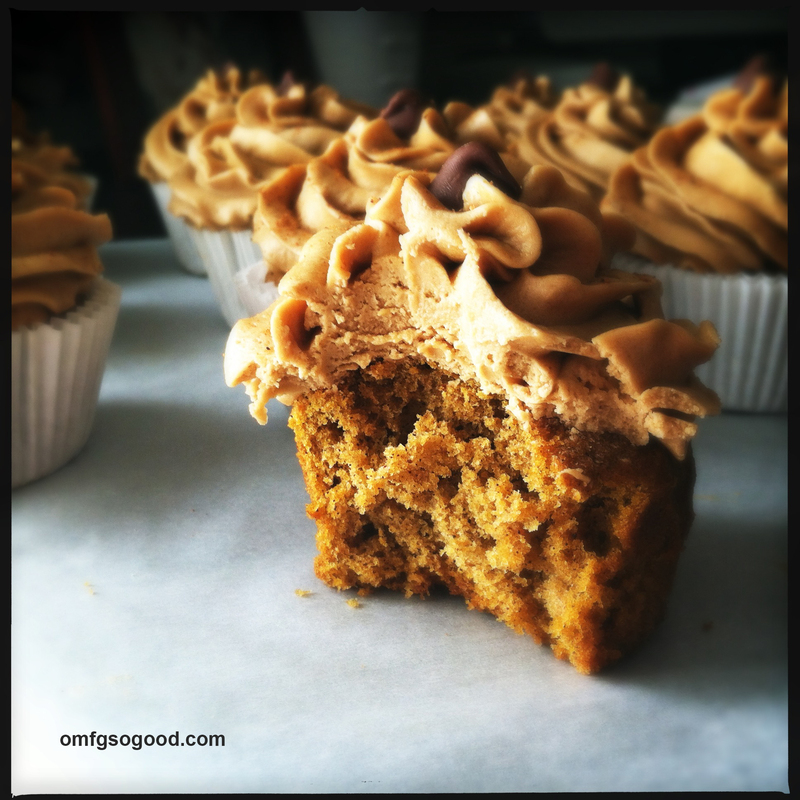 These cupcakes combine a moist pumpkin spiced cake base with a to-die-for espresso buttercream. Pretty much spot-on flavor to the good ol’ Starbucks fall drink of choice. Preheat oven to 350 degrees. Line muffin pan with paper liners and set aside. In a medium mixing bowl, sift together flour, baking soda, baking powder, cinnamon, nutmeg, allspice and salt. In a separate medium mixing bowl, combine eggs, pumpkin, both sugars and oil. Slowly add dry ingredients to wet ingredients and mix until just combined. Divide the batter evenly into the prepared tins and bake in preheated oven for 20 – 25 minutes or until toothpick inserted into center comes out clean. In a small bowl, add the espresso powder to the heavy cream and stir to dissolve. In a large mixing bowl, beat the butter until creamy and smooth then slowly add in the powdered sugar and mix to combine. Slowly add in the espresso/cream and vanilla and mix until combined and fluffy. Let the frosting sit for a few minutes before frosting the cupcakes. I also sprinkled them with a bit of extra nutmeg then added a chocolate chip to the tippy-top just for sh*ts n’ giggles. And because, in my opinion, chocolate and coffee go hand in hand. It’s your call. Now THAT is a compliment in my book. THANK YOU! just made for a co-workers birthday and well i had to try one before i packed it all up and they are phenomenal !!! 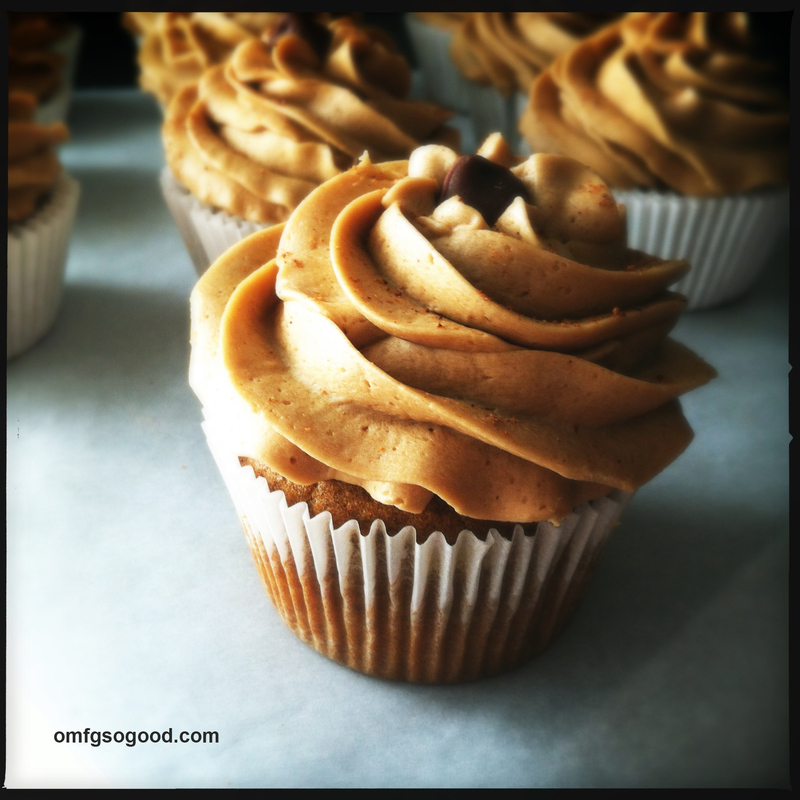 the coffee in the buttercream frosting-yummmmmm! merci bien! OMFGOGOOD is Right! This are simply delicious. Thank you for sharing your talents!